Do you remember Ktel from our teenage years? 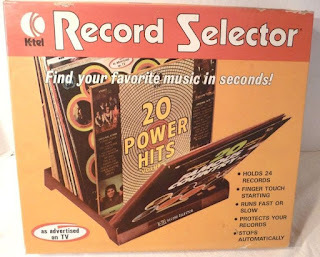 It was the original "As-Seen-On-TV" company, famous for its hard-selling commercials marketing compilation music albums, such as The Super Hit series, The Dynamic Hits series and The Number One Hits series and consumer products, such as The Record Selector, Veg-O-Matic, Miracle Brush, and The Feather Touch Knife. The company’s founder was Philip Kives, a demonstration salesman who had previously sold cookware door-to-door and in a department store, used television advertising in 1962 to sell Teflon-coated frying pans to a large-scale audience. He bought and marketed a number of other products such as the "Dial-O-Matic" (a food slicer that allowed the user to "dial in" to control the thickness of slices), the Veg-O-Matic, and the "Feather Touch Knife." The combination of inexpensive goods and a simple but hard-selling pitch were a novel combination in television advertising in the early 1960s. In August 1965, he took his "Feather Touch Knife" on the road to Australia and by Christmas had sold one million knives but strangely his bestselling product was the miracle brush, selling 28 million. Kives was born on a small farm in Saskatchewan, his family struggled and was on welfare for many years. After leaving the farm he tried his hand as a cab driver, cook and food truck operator. He eventually found his talent in door-to-door sales. Within two years, he was trying his luck in Atlantic City. He re-located back to Canada and made the first of many deals with Eaton’s Department Store in Toronto. But wanting to pitch to a larger market, he realized TV was the answer. With no cash he cut a deal. He first agreed to pay for television advertising if a store like Eaton’s would agree to stock the product then he would offer television stations a “per inquiry” deal whereby they would receive an upfront down payment (representing the guaranteed sale of a minimum number of products) and then a percentage of every product sold beyond that number. K-tel was formally incorporated in 1968. After a successful decade in the 1970s, the company expanded rapidly and in the five years prior to 1981, K-tel sold more than $150 million LPs in 34 countries. Its sales jumped from $23 million in 1971 to $178 million in 1981. In 1966, Philip Kives released the company's first compilation album, a collection of 25 country songs entitled “25 Country Hits.” Every copy was sold. His second release, “25 Polka Greats,” sold 1.5 million copies in the United States alone. He never intended K-tel to be a music business, saying "I had to do something else. I thought why not do a music album? I thought it'd be a one-off. Everybody said 'that won't work.' Now all the major labels do compilation albums, but mine was the first." The company built the business of releasing compilation albums that combined material from a number of popular artists onto a single theme album using the tag line "20 Original Hits! 20 Original Stars!". The company negotiated directly with artists and labels for the rights to reproduce their original recordings securing a long-term asset through adding those recordings to their catalog. 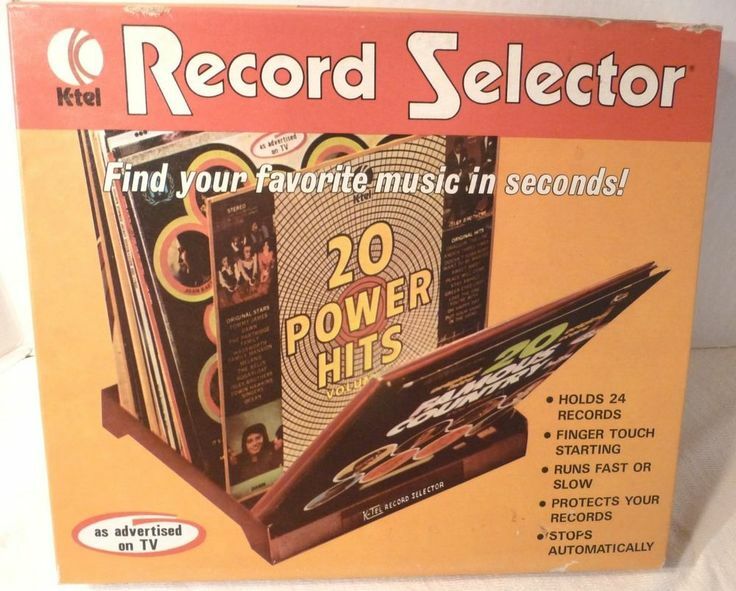 The compilation albums largely relied on the pop charts of the time but concentrated on a specific musical genre: 20 Power Hits, for example, released in 1973, mostly concentrated on rock, though it had "Yesterday Once More" by The Carpenters on it. Some compilations were made for the disco music market (Night Moves, 1979), whereas others featured older music (Summer Cruisin' , made in about 1976, featured mostly 1950s music). The company also created original records, the most notable of which was the Grammy-nominated Hooked on Classics series of classical recordings with the London Symphony Orchestra. The company diversified and acquired the rival Candlelite Records in 1980. 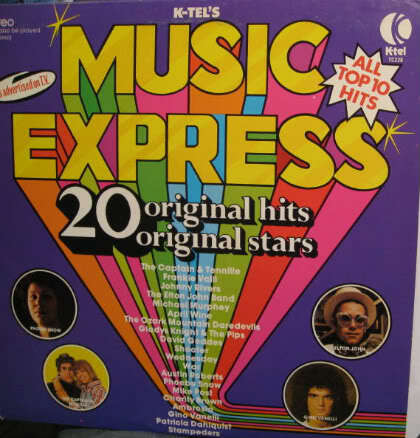 K-tel lost $15.9 million when Candlelite’s customers refused to pay for their shipments. In 1984 K-tel International, filed for bankruptcy and in 1986, moreover, the Bank foreclosed on the K-tel Canadian subsidiary. Six years later, after all the legal battles, a settlement was reached with the Bank and in 1991, Kives got his Canadian company back. Phil Kives died in Winnipeg on April 27, 2016. But I am sure that most of us remember Ktel for the series of record accessories. 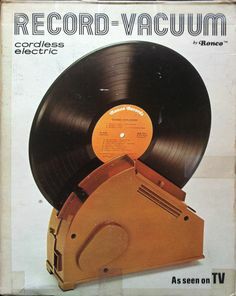 The record stacker, the record vacuum and even the record brush, that little brush like item that we attached to the front of the pick-up arms to collect the dust from the record grooves. The company still distributes music and still owns songs such as “The Twist” by Chubby Checker, “What I Like About You” by The Romantics, “Tutti Frutti” by Little Richard, “Surfin’ Bird” by The Trashmen, and “Help Me Make It Through The Night” by Sammi Smith. It now distributes more than 200,000 songs worldwide per year on digital platforms like Amazon and iTunes. K-tel helped define the way that people like us purchased music in the 1960s and 1970s. The Summer ATC camp at St. Athan in Wales was full of incidents. True, Alan Clarkson did fall out of bed and hit his head. There was also an outbreak of food poisoning which put 4 of us into the RAF sick quarter's for 2 days. The aircraft we all took flights in was a Chipmunk 2 seat RAF basic trainer. We all had to wear parachutes for an emergency exit in case of aircraft problems. Thankfully nobody was required to join the famous RAF "Caterpiller Club" for exiting an aircraft and using a parachute to save your life. The crashed aircraft we all trekked miles up hill to go and see was a WW 2 RAF Wellington bomber that had crashed into the top of the Brecon Beacons in 1942. It rained all the way up the hill...... and all the way down. See the group picture on the side bar. Regarding smells I still see Brut and Charlie for sale here. Both of them I still like. 2yrs ago my daughter visited Cologne on her way to me. She bought me a lovely, big bottle of 4711. It`s still very popular. It was a favourite of my mothers. Me, I`m still a Chanel No 5 girl! On 11/03/1960 the number one single was Why - Anthony Newley and the number one album was South Pacific Soundtrack. The top rated TV show was The Larkins (ATV) and the box office smash was Psycho. A pound of today's money was worth £13.68 and Burnley were on the way to becoming the Season's Division 1 champions. On 11/03/1961 the number one single was Walk Right Back/Ebony Eyes - Everly Brothers and the number one album was South Pacific Soundtrack. The top rated TV show was No Hiding Place (AR) and the box office smash was One Hundred and One Dalmations. A pound of today's money was worth £13.25 and Tottenham Hotspur were on the way to becoming the Season's Division 1 champions. On 11/03/1962 the number one single was Rock-a-Hula Baby/Can't Help Falling In Love - Elvis Presley and the number one album was Blue Hawaii - Elvis Presley. The top rated TV show was Coronation Street (Granada) and the box office smash was Lawrence of Arabia. A pound of today's money was worth £12.89 and Ipswich Town were on the way to becoming the Season's Division 1 champions. On 11/03/1963 the number one single was The Wayward Wind - Frank Ifield and the number one album was Summer Holiday - Cliff Richard & the Shadows. The top rated TV show was Coronation Street (Granada) and the box office smash was The Great Escape. A pound of today's money was worth £12.64 and Everton were on the way to becoming the Season's Division 1 champions. On 11/03/1964 the number one single was Anyone Who Had a Heart -Cilla Black and the number one album was With the Beatles - The Beatles. The top rated TV show was Coronation Street (Granada) and the box office smash was Dr Strangelove. A pound of today's money was worth £12.24 and Liverpool were on the way to becoming the Season's Division 1 champions. On 11/03/1965 the number one single was I'll Never Find Another You - Seekers and the number one album was Rolling Stones Number 2 - The Rolling Stones. The top rated TV show was Coronation Street (Granada) and the box office smash was The Sound of Music. A pound of today's money was worth £11.69 and Manchester United were on the way to becoming the Season's Division 1 champions. The big news story of the day was First public talking computer.